February « 2016 « Geekorner-Geekulture. 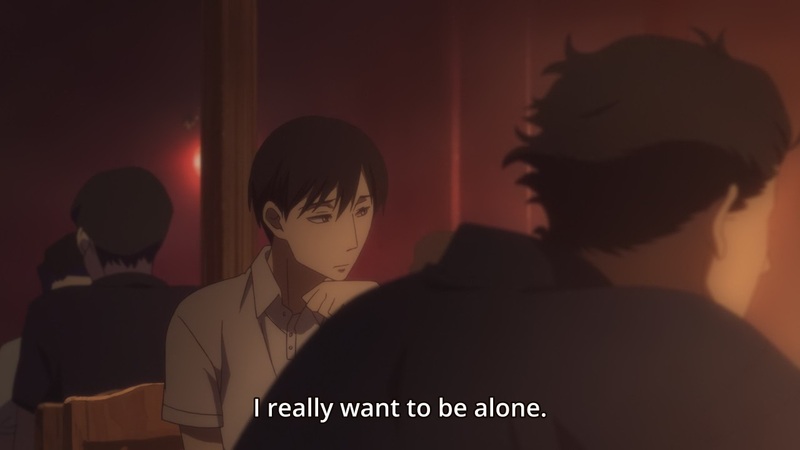 Shouwa Genroku Rakugo Shinju Episode 8 – Masks and Mirroring. How could this episode have only been 21 minutes long (sans OP/ED)? It felt as if I’ve watched 4-5 episodes’ worth of material, with how much was covered, as the episode was split into several segments, each mirroring with other parts of the show, and the characters kept reflecting and contrasting, swirling by one another as the episode kept weaving about them, and as the story wove about us. So let’s get to it, bit by bit. Though it might get messy at times, because you can’t speak of one without the other, of the future without the past, can you now? The episode opens with what this show is best at, setting up a feeling of a time and place. It’s a beautiful sunny day. A great day to spend outdoors. Bon doesn’t like the sun much, so it might be all fine and good for him to spend the day indoors, with his rakugo, but for all those other people? That’s quite a sacrifice, spending this lovely day, watching him. Watching his rakugo. A nice day for a social outing. A nice day for some culture. 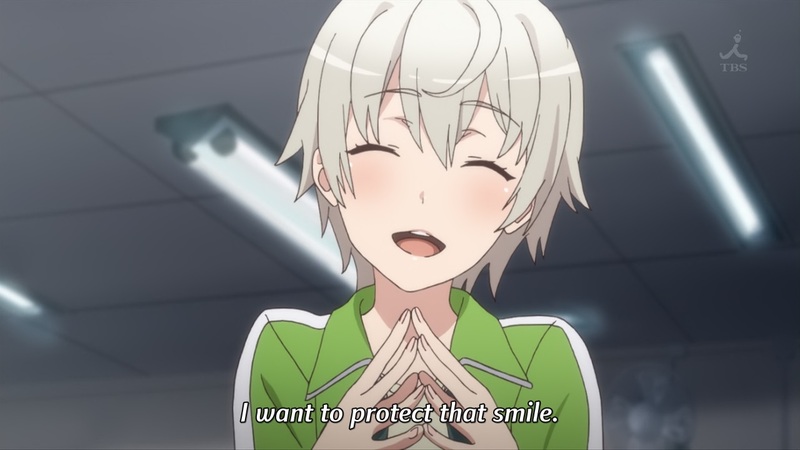 This episode made me realize, I want to protect that smile. 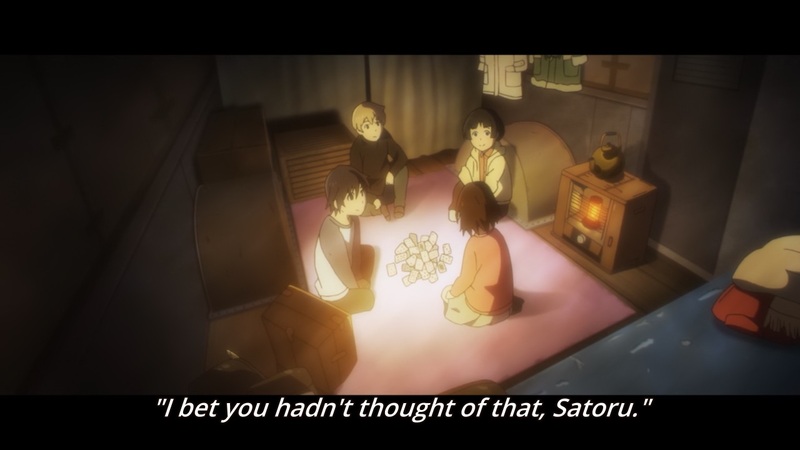 Not just Kayo’s, but child-Satoru’s as well, and if there’s anything episodes 3 had shown us, which last week’s episode had reiterated again, Satoru’s still a child, and was never allowed to grow up. Well, seeing him in this happy situation, and Kayo as well, and I’d like them to be suspended in it forever, warm and fluffy and everything. I guess this is a good way to make us care for the tension and thriller – you can make us care because it’s just well-directed, but it always works better when we supply the dread on our own, and the show just feeds into it. We supply it on our own because we sympathize with these kids, and want them to have a happy life. A life without cliffhangers. On that note, I’m very happy this episode didn’t actually end on a cliffhanger, and no, that final confrontation doesn’t fill me with tension. I mean, does anyone here think Satoru’s mother can’t control the situation? I suspect that the teacher raised the option of Kayo staying with the Fujinumas, indefinitely, and perhaps this confrontation is to get Kayo’s mother to agree, before the Child Care Agency will take her away. I’ve barely got any shows to bring up this time around, as I’ve dropped most, and Ajin didn’t get the subs I’m waiting for yet this week. I guess I’ll cheat a bit, and even though the main focus would be week 7’s episodes, I’ll throw a few words about last week’s episodes as well, where relevant. After episode 5 hadn’t been as good at maintaining the tension that this show lives off of, in part because its direction felt relatively flat, certainly compared to the heights of the first 4 episodes, episode 6 was much better, though not as good as episodes 2-4, and episode 7 was a true return to strength. It coincided, though perhaps not by coincidence, with the return to the past – as Kayo, and her fate, feel much more tense than anything that happens in the present. When Kyoukai no Kanata (Beyond the Boundary) ended in late 2013, I wasn’t terribly pleased with it. 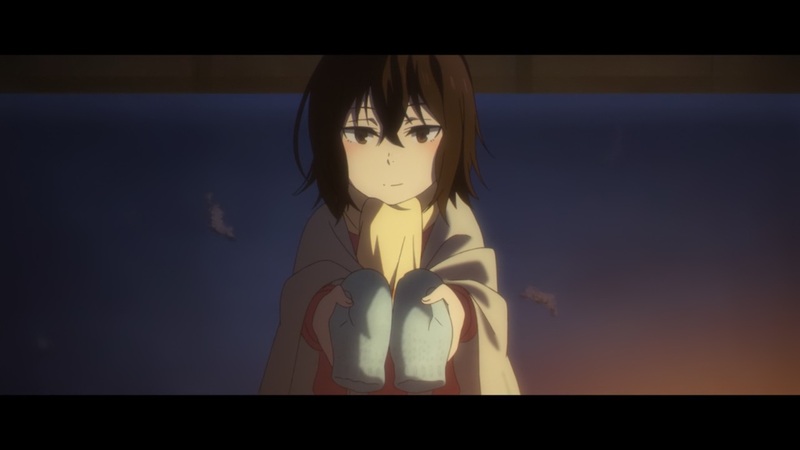 Beyond anything else, I thought that it could’ve easily been better, if not in terms of poor directing in its last two episodes, and its mismatched tones, and other issues, then at least in terms of emotional investment in a certain event, and thus in one of the two main characters of the story. It felt frustrating, that a show missed its mark with what could’ve been an easy change. And that in turn led me to solidify my thoughts on why I wasn’t as invested in Fate/Zero which I watched a couple of years prior – I felt that the show, which wasn’t bad, could’ve been so much better. This post is going to cover an assortment of topics, as they all tie into one another. 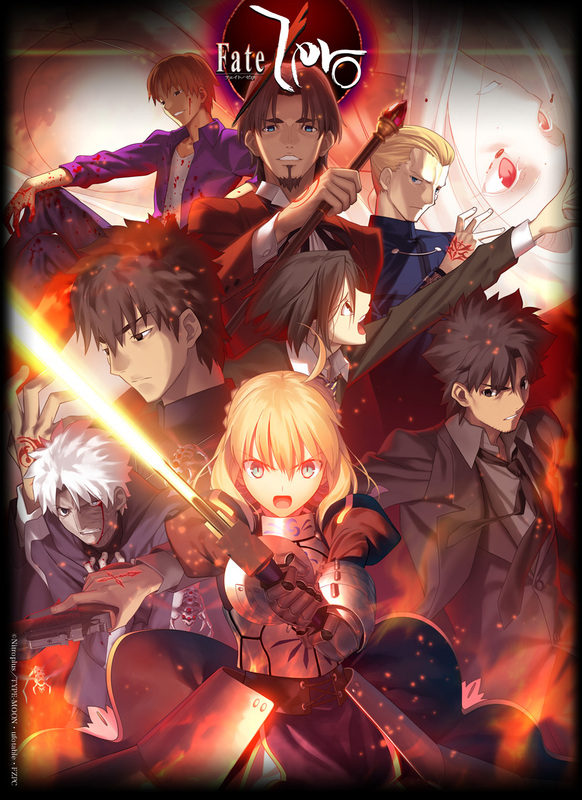 It will mostly revolve around and use Fate/Zero, both as the object discussed, and as an example for these other topics: Series composition, the act of deciding which part of the story will go where in the story, and how much space it’ll receive. Story structure with regards to revelation, character involvement and emotional attachment, and Urobuchi Gen’s specific quirk in this regard, and some thoughts on how it might tie to Visual Novel writing, as well as thrillers and tragedies. Hopefully these topics, and how they’re interwoven, will all be interesting. Last week’s episode revolved around trust, and this episode, well, it revolves around being a superhero, or in other words, being a child. This moment where we’re told Kenya asked Satoru whether he thought of Kayo’s “solution” is emblematic of Satoru’s problem. Satoru is supposedly an adult, but what he wants to be is a hero. He finally admits it. He doesn’t care how foolish he looks, but he’ll go for justice. He’ll save people. No matter the cost, even to himself. He was about to potentially kill Kayo’s mother over it as well, right? And Kenya was needed to talk sense into him. I actually mentioned this in my episode 3 mini-write-up, but Satoru isn’t a 29 year old man in an 11 year old boy’s body, but an 11 year old boy, who was trapped in a 29 year old man’s body, who’s now back in his original body. Kenya is far more of an adult than Satoru is. Kenya doesn’t act not because he’s a coward, but because he recognizes that there are repercussions, and limitations to his abilities. Satoru doesn’t think things through, when he sees something he needs to do, or wants to do, he just does it, like a superhero, like achild. Kayo was supposed to die on March 1st, but then died on March 3rd, after his intervention. And even if Kayo somehow survives, how will that end up saving his mother? He’s only postponing things, rather than resolving them. He’s buying time, but after he’s done so, he’s no longer actually looking to solve the case. Mid-season of the anime season of Winter 2016 is upon us, so time to round up how I feel about the shows I’m current on, or decided to put on hold. A round-up telling you what I think is worthy of your time, or not, and where it’s at. This season I managed to not only pick up less shows than usual, but quickly drop what is “averagish”, so let’s see how it panned out. Tiers are in-order of enjoyment/evaluation. Within each tier the order is alphabetical. 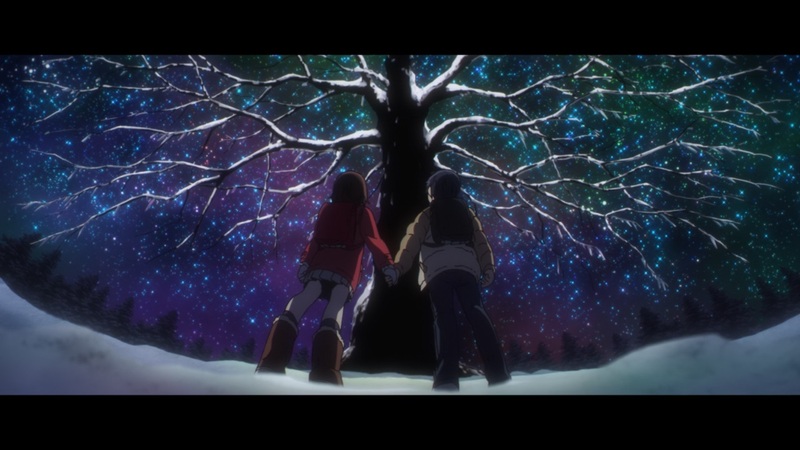 BokuMachi is a rare thriller that fires on all cylinders and keeps you engaged non-stop. Even when you’re not worried about the impending doom that you know is coming in a way only a time travel thriller can create, you are drawn into the intimate mindset as we follow protagonist Fujinoma Satoru, both as a failed manga author who cannot proceed with his life, and as he returns to his life as a 10 year old boy. The directorial work in this show is really good, and the show is peppered with artistic shots, shots that heighten tension for the most part, but also ones that just look great as Satoru spends time in his old haunts, and the feeling of watching an old movie is invoked, an old movie that one then stars in. The rest of this piece will be about the direction in Grimgar in general, and some musings on the Lateral Tracking Shot, which in this show is more often a “panning” shot. I’ll make use of moments from episode 5 of Grimgar, so there might be some scant spoilers for it in the form of an untranslated video segment.